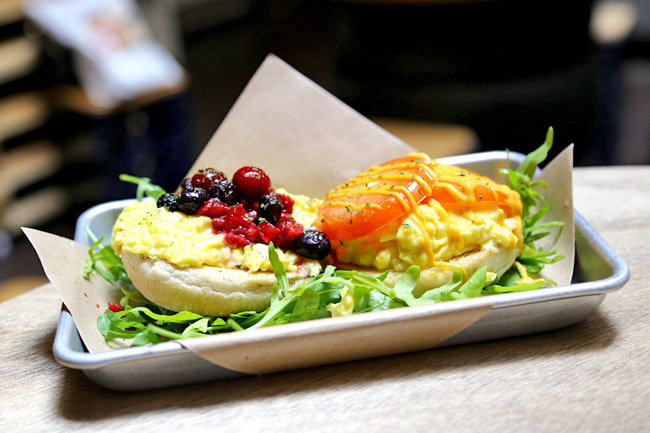 After a string of pretty and family-friendly types of Korean Cafes in Singapore, Dabang at Tanjong Pagar is a breath of fresh air with a more edgy look and ambience. 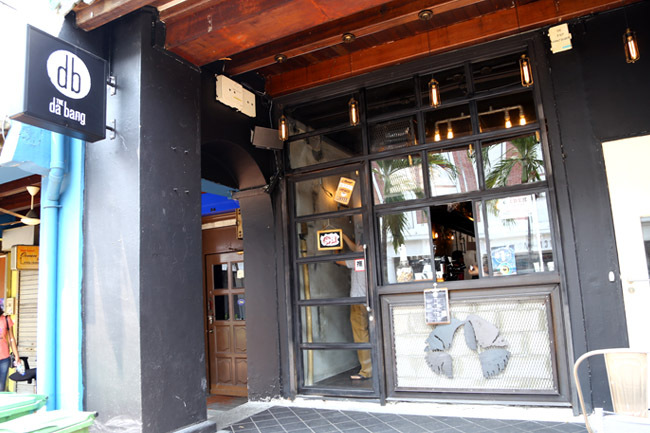 This new concept by the Chicken Up people has two faces: Dabang, an Australian brunch and dessert café with a Korean twist by day; and Don’t Tell Mama, Korean – Mexican fusion bistro with interesting cocktails by night. 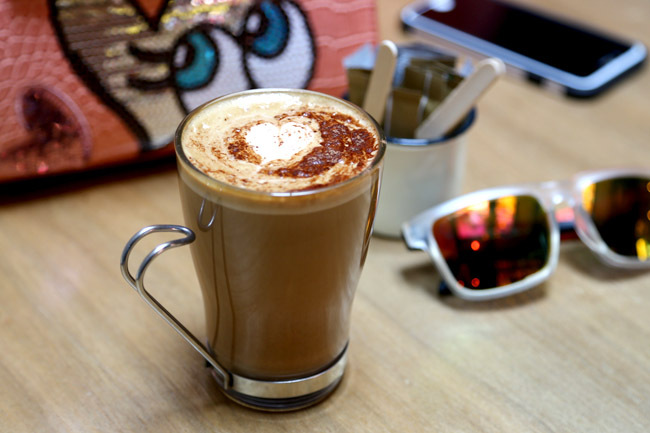 A ‘dabang’ refers to a Korean coffee house which primarily serves prepared coffee, tea or other beverages. 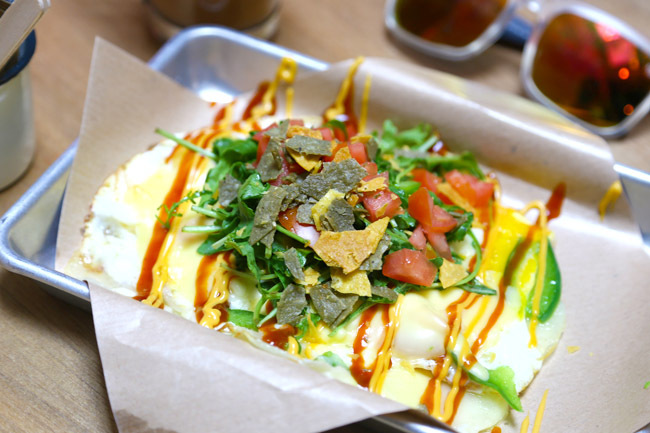 Dabang offers safe choices for its brunch menu, from Korean-inspired Panini, the ever-popular Bingsu, Twist Potato, and Nacho Cheese Omelettes. Signature during the day include Kimchi Panini ($12), Big Breakfast ($18), Grilled Corn ($12 – we wonder if this is way overpriced), Flavored Milk ($6), Strawberry Latte ($7), Ice Cubes Latte ($9), and Monster Bingsu ($25) with flavours of Blueberry Cheese and Mango Yogurt. 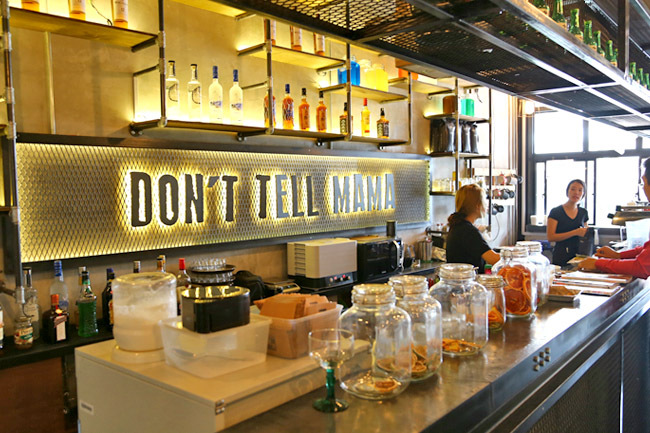 The space is transformed to “Don’t Tell Mama” in the evenings from 5pm to midnight, offering signature cocktails and food such as includes Bulgogi Quesadilla ($12), Garlic Prawn Fries ($18), Bulgogi Fries and Kimchi Fries ($18). On a side note, the seats were slightly uncomfortable. Case in point. We tried a number of items, such as Eggs On Toast, Nacho Cheese Omelette and an-off-the menu Korean noodles (after we saw another table having it). Needless to say, our favourite item was the Korean noodles. Robust spicy broth, with al dente noodles. Even though they were just ‘instant noodles’, some do prepare it better than others. 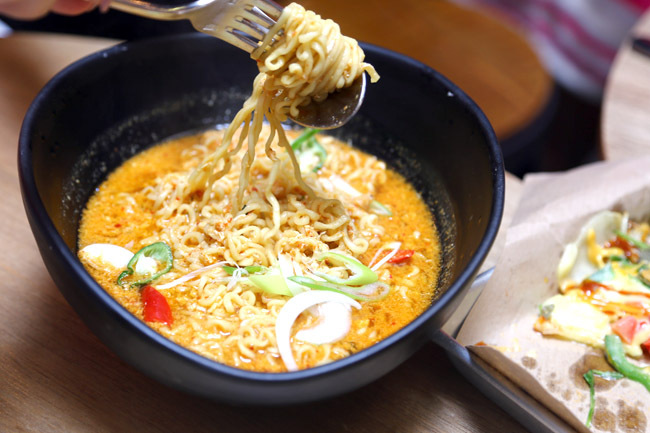 The brunch items were averagely decent, and more distinct elements of ‘Korean-ness’ incorporated would have helped differentiate Dabang from another-next-café. 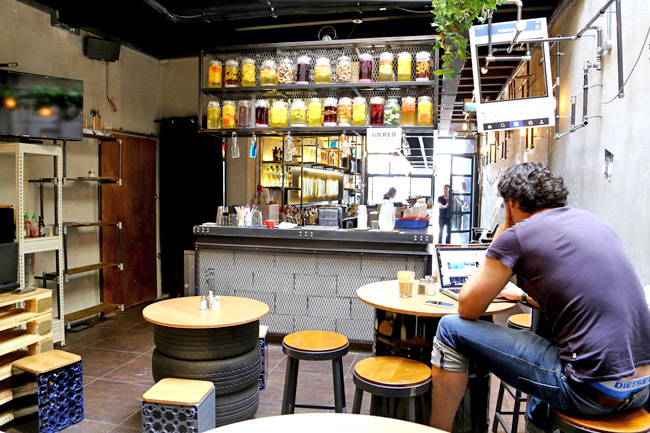 While they brand it as “Australian brunch”, the risks are the taste becomes neither here nor there, and other ‘Aussie cafes’ nearby are able to provide more authentic offerings. The challenge now is having two separate names, menu, concepts, websites, social media pages, BUT the same space and team behind. As a customer, I wanted some items such as Kimchi Fries to go with coffee during the day, but that was only available at night. 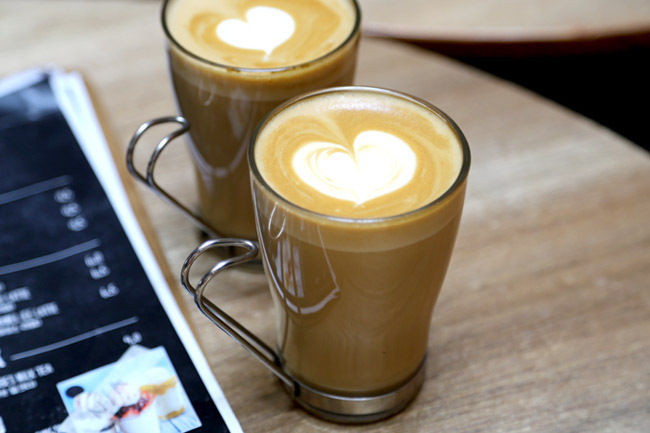 ← 10 Cafes With 1-For-1 Deals + 10 Good Reasons To Get the Entertainer Now! The instant noodles look the most appetising! How much did they cost?